In this truly mammoth guide, Mike Ashley analyzes and explicates the line between the real Arthurian world and the legends that surround it. Ashley gives us a firm identity not only for King Arthur, but also for Merlin, Guinevere, Lancelot, and the Knights of the Round Table—as well as identifying all the major Arthurian sites. He traces the development of each of the legends and shows how they were related to events happening at the time, bringing a new dimension of realism to the magical Arthurian world. 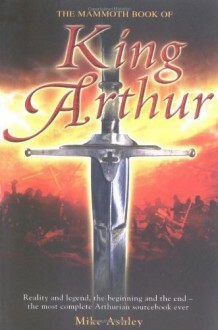 Ashley also offers new and little known information on Arthur—including a fascinating link to the present royal family and the likelihood that Arthurian legends arose from the exploits of not just one man but at least four. With over 700 pages, this is the most complete single-volume guide to Arthurian legend and history.